ENB series mod is a graphic enhancer that changes the overall look and feel of the game. This ENB is tweaked specially for NBA 2K14 PC. I adjusted the contrast, gamma & brightness so you will see a vast difference in colors. 2. 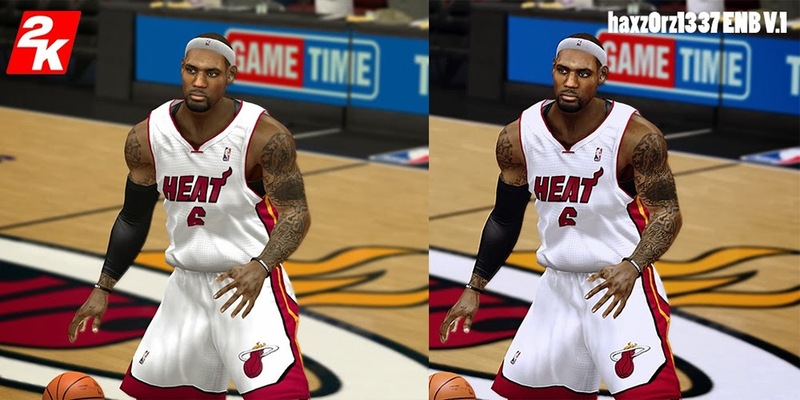 Run NBA 2K14 and press Shift + F12 to deactivate or activate the FX.